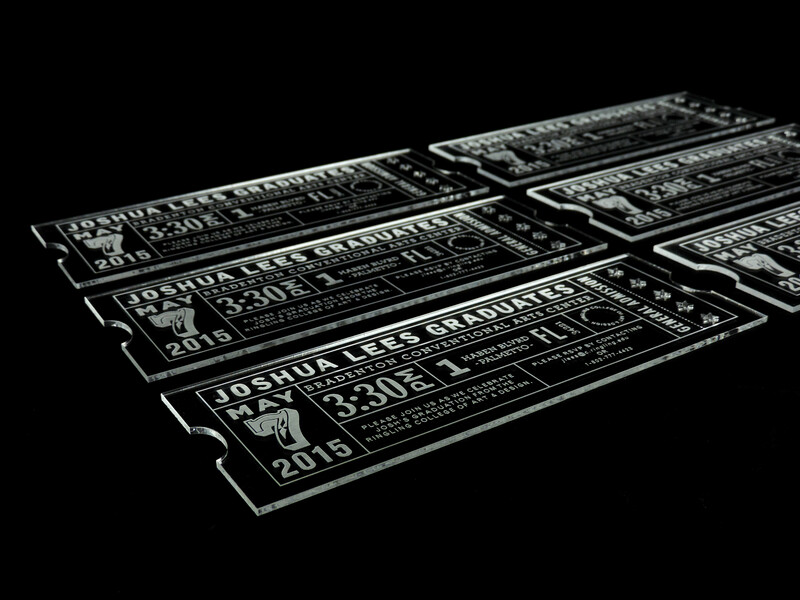 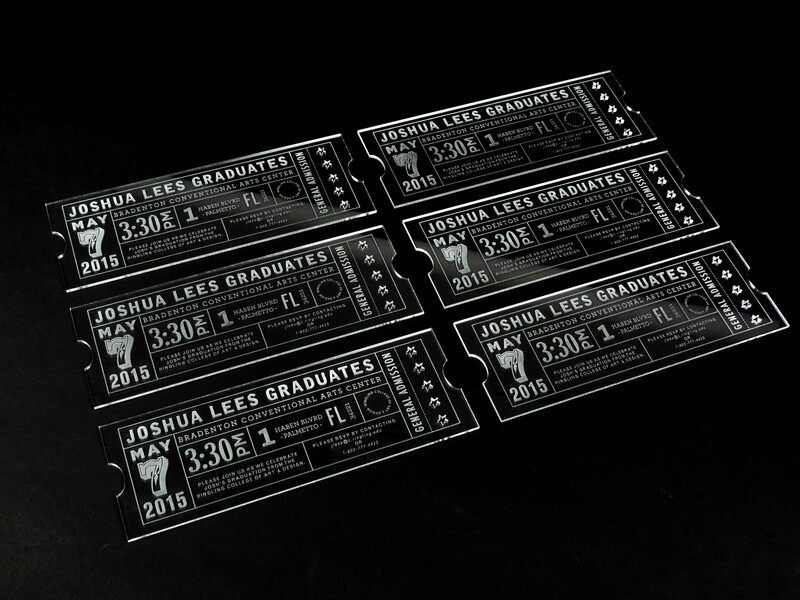 Joshua Lees graduated from Ringling College of Art & Design and kindly asked me to design his invitations. 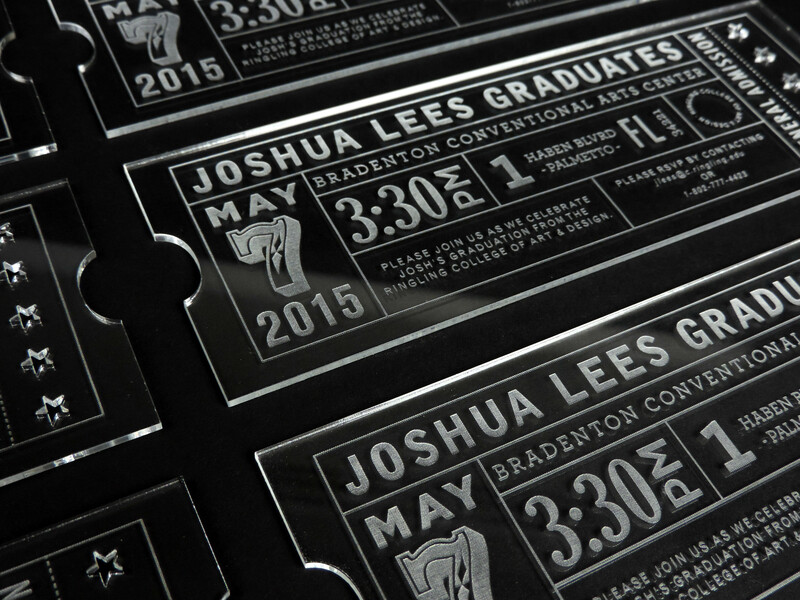 I chose to create a keepsake for such a special occasion so family and friends could keep this as an object and not just a card. 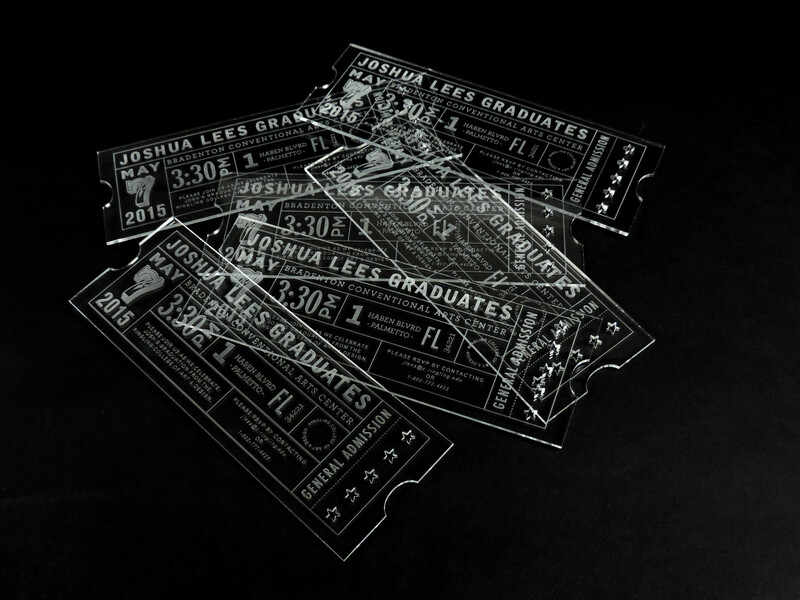 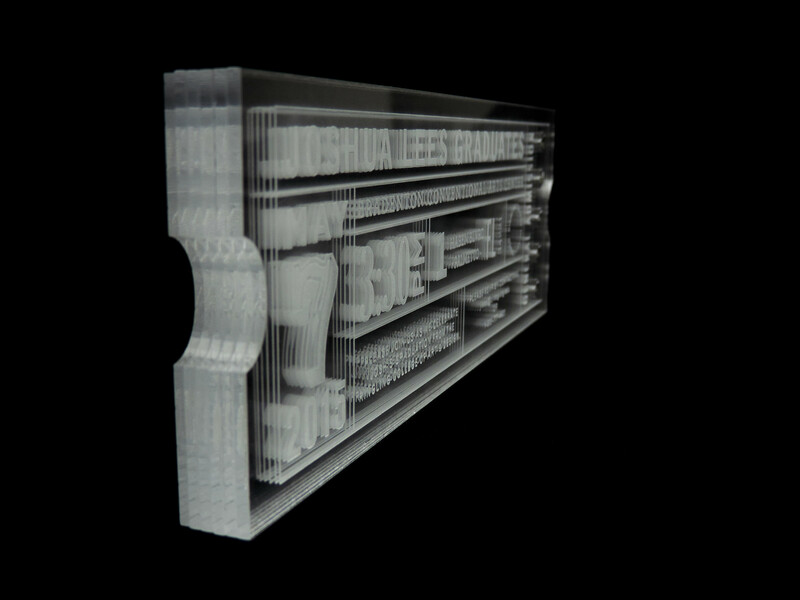 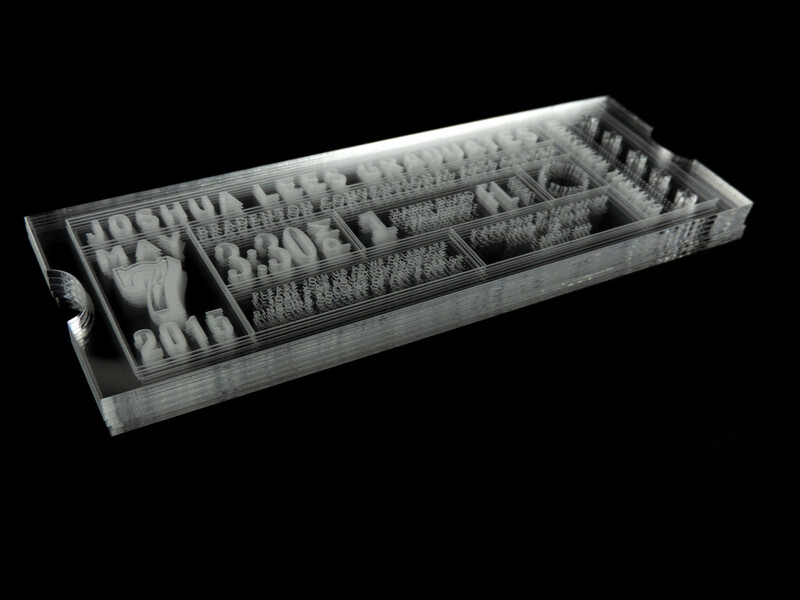 Inspired by circus tickets to go with the a classic idea of Ringling College in relation to the Ringling Bros Circus, and laser cut out of plexi-glass.